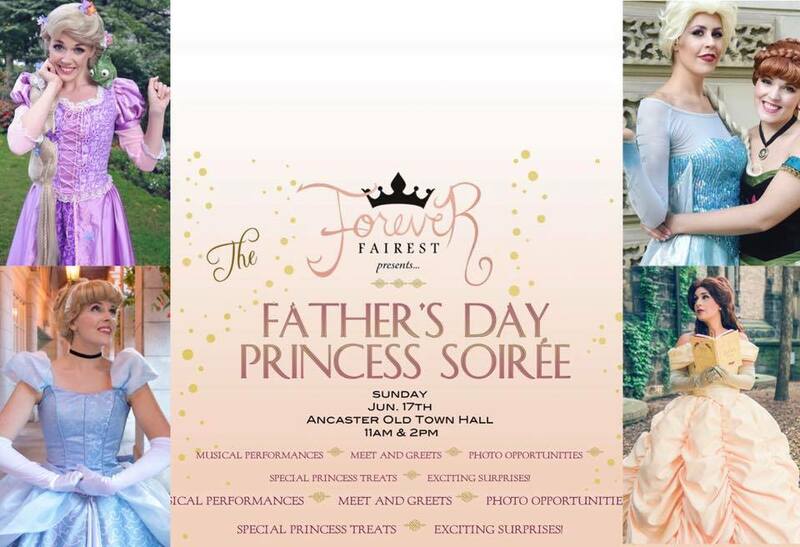 Join Forever Fairest in our launch event, as we present the Father’s Day Princess Soirée! Whether you’re a father, a daughter, a son, or a parent working double duty, we want to treat you like royalty on Father’s Day! On June 17th, at Ancaster Old Town Hall, you and your little ones will become completely enchanted as you meet our Ice Sisters, Beauty Princess, Cinder Princess, and Tower Princess! Our Princesses will entertain in a 25-minute musical performance, followed by meet and greets, refreshments, activities, photo opportunities, and many more magical moments your little ones will remember for years to come! Infants under the age of 2 years are FREE, provided that they are seated in the lap of an adult. Dress code: Whatever makes you feel like the true royal you already are!